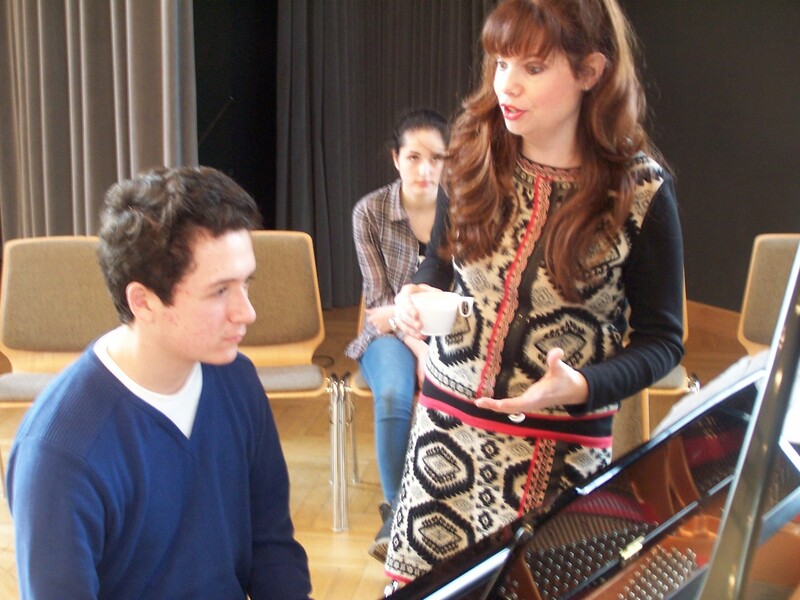 My most recent article for Pianist Magazine’s newsletter focuses on piano courses. Hope you find it of interest. Piano courses are becoming increasingly popular amongst adults and children learning to play the piano. And to keep abreast of this growing demand, there are significantly more opportunities for this student demographic, with courses for students of all levels, semi-professionals and piano teachers, popping up every year. My first post offers a few tips for those considering a course, and my second (to be published in Pianist’s next newsletter) will offer suggestions for preparing for such an experience. When selecting your course, it may be prudent to decide what you would like to achieve. It might be that you want to study with a particular teacher, or perhaps you fancy playing more chamber music or duets with a fellow pianist of a similar standard, or it could be that you need more experience at performing in public. Look for courses with an emphasis on your chosen aspect. Each one will offer something different and unique. 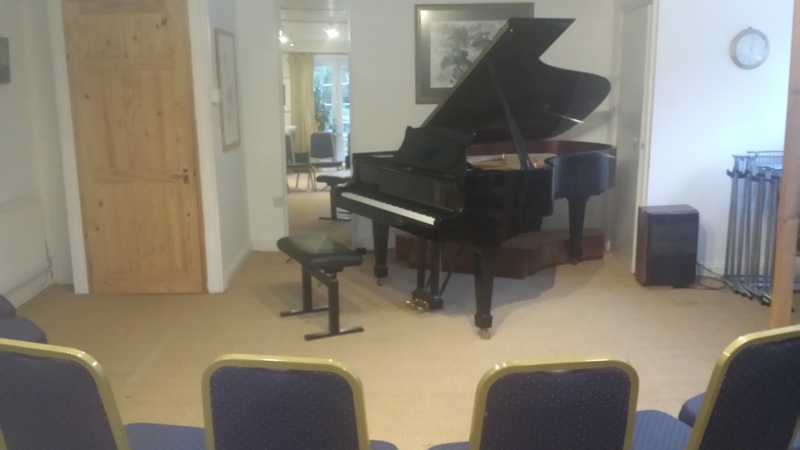 There are piano courses which pride themselves on a really luxurious experience with sumptuous food and beautiful accommodation (although you may pay a premium), whereas others might be held in a school, but offer excellent practice facilities with well-tuned instruments. Offsite B&B accommodation is a prerequisite for some residential courses, which in turn can provide much-needed relaxation and respite from a demanding schedule. Generally, the larger or longer the course, the more fellow students you will meet. Piano courses can be wonderfully social affairs with the same students returning year after year, forming close friendships. This is the primary reason why adult students stick to the same ones; camaraderie can fuel an optimal study experience. If you would prefer to be an observer, attending lessons, workshops and classes, but not participating, then this can be a great introduction. Many courses offer this option but always check with the course administrator. ‘Open class’ policies are most helpful for the less experienced student. I encourage my students to attend as many master classes and workshops as they can, because often more can be learnt this way, without nerves and stress intervening; it’s then easier to decide if this course of study is suitable for you. Some courses are ‘specialist’ with one expert teacher giving master classes for a select group of students (these are usually shorter or weekend courses), whilst others include multiple study options such as theory, aural, composition lessons and sight-reading classes, or the chance to study with more than one faculty member. You may like to take this into consideration, particularly if you are preparing for an examination, diploma or concert performance. For those less confident in their playing ability or skill, there are courses which focus on certain levels; intermediate courses or courses for beginners or elementary players, for example. The Jackdaws Music Educational Trust instrumental and vocal courses are open for booking today! The 2018/19 programme offers more variety than ever, so there is sure to be something for everyone. 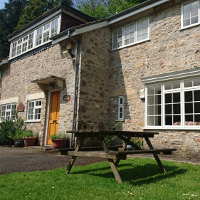 The course venue, an attractive house in Somerset (pictured to the left), near Frome, contains excellent facilities, including a Steinway Model B piano, and several practice rooms. If you decide to take the plunge and book a course, you’ll enjoy the most beautiful countryside, scrumptious home cooked food, and plenty of opportunity to hone your piano skills whilst meeting new like-minded friends. This is the fourth year that I have run a weekend course at Jackdaws, and I’m always delighted to be working amongst such an illustrious cohort of course tutors. This year, I’ll be focusing on piano technique. Throughout this weekend, I hope to illustrate the possibility of improving your skills irrespective of age or ability. Students often complain of tension, pain, and discomfort when they play, which probably stems from moving around the instrument in a less than ideal manner, resulting in many technical issues. During the course, I’ll consider the reasons for tension and examine useful ways of alleviating it, by focusing on establishing freedom and relaxation whilst playing. Each course member will be given ample opportunity to hone and improve their technique; we will work at rotational wrist motion, strengthening fingers, and developing completely free arm movement; encouraging the use of arm weight, with the aim of producing a warm, pleasing tone. Technique will also be evaluated and assessed in the context of each student’s chosen repertoire, therefore participants are advised to bring two to three contrasting pieces to the workshops, although these do not have to be performance ready. If you fancy a relaxing weekend in the most beautiful English country setting, with scrumptious home cooked food, and plenty of opportunity to hone your piano skills whilst meeting new like-minded friends, you will love the courses held at Jackdaws Music Educational Trust. Situated in Somerset (near Frome), this music course venue (pictured to the left) is second to none and the courses are increasing in popularity every year. This is the third year I have run a weekend course at Jackdaws, and I’m always delighted to be working amongst such an illustrious cohort of course tutors. This year, I’ll be focusing on piano technique. After running my course Piano Technique, Sight-reading and Memorisation for the past two years, I realised, from those who came (and some comments from those who didn’t), just how crucial my work teaching piano technique really is; throughout this weekend, I hope to illustrate the possibility of improving your skills irrespective of age or ability. Students often complain of tension, pain, and discomfort when they play, which probably stems from moving around the instrument in a less than ideal manner, resulting in many technical issues. During the course, I’ll consider the reasons for tension and examine useful ways of alleviating it, by focusing on establishing freedom and relaxation whilst playing. Each course member will be given ample opportunity to hone and improve their technique; working at rotational wrist motion, strengthening fingers, and developing completely free arm movement; encouraging the use of arm weight, with the aim of producing a warm, pleasing tone. Scales, arpeggios, chords, octaves, double note passages and much more, will be evaluated and discussed. We will also work on aspects within each student’s chosen repertoire. Participants are advised to bring two or three contrasting pieces to the workshops, although these do not have to be performance ready. I had the pleasure of tutoring a second piano course at Jackdaws Music Education Trust over the weekend. Jackdaws is dedicated to improving participation in and enjoyment of music through residential and one day instrumental and vocal courses, various education projects, a Young Artists Programme, as well as performances by world-class musicians. Piano courses, whether weekend courses or Summer schools, are proving increasingly popular with pianists of all levels and abilities (from beginners through to professionals). Jackdaws was recently voted second place in a UK Piano Course Ranking. According to the survey, those who attended such courses gave the following reasons as most important; ‘the opportunity to work with leading teachers’ (something Jackdaws offers at every weekend course) and the chance to gain ‘useful, critical feedback’. Jackdaws is situated in the village of Great Elm, just outside Frome, in Somerset (UK). 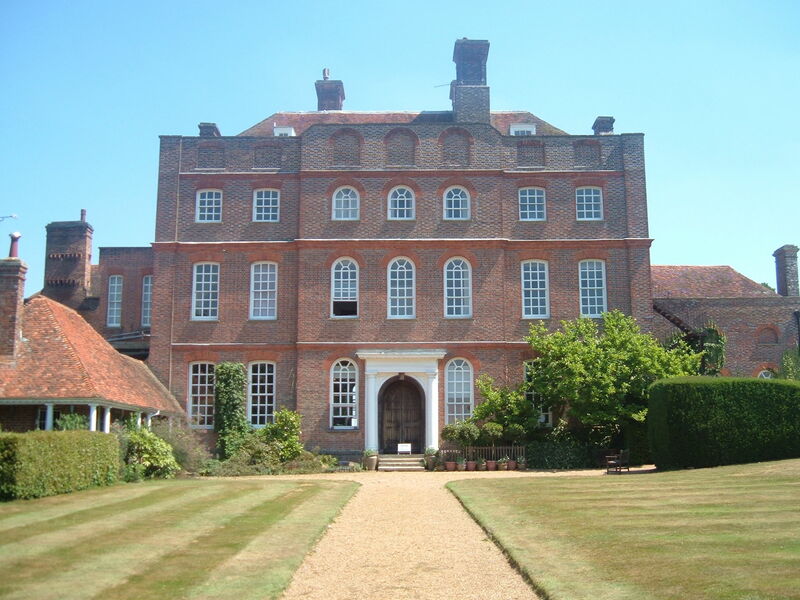 A picturesque venue and setting (see photo above), wonderful food (all home cooked by our chef Loo) and an excellent Steinway, make for a thoroughly enjoyable and, hopefully, informative few days. My course focused on piano technique, sight-reading and memorisation, which are aspects sometimes forgotten or side-stepped during piano lessons, however, there was also ample time for each participant to work on repertoire too. In all, the weekend courses (which begin on Friday evenings at 6.30pm and finish at 4pm on Sunday afternoons), consist of around 12 hours of tuition, as well as a little time on Saturday afternoon to explore the surrounding area. It’s certainly a musically action packed weekend! Course participants ranged from teenagers to the more mature, and from elementary level through to advanced; it was interesting to observe how this variety didn’t affect or impede enjoyment; the elementary students seemed to respond well to hearing advanced students perform and vice versa. By working at particular facets of piano playing, it’s possible to involve all standards and abilities, and offer a few ideas for improvement at every level.There were fewer pianists on my course this year, but those who came said they savoured the opportunity for longer one-to-one teaching sessions. A weekend course doesn’t necessarily aim to overhaul piano playing overnight, but it can offer the possibility of change, and a realisation that certain elements can be tackled in a different way. Performance practice (i.e. the act of playing through a piece from beginning to end in front of a small audience) can be a triumph for some, and courses are useful for this aspect alone. One of the participants on my course last year realised she needed another approach, and has since come for regular lessons; we have worked hard to alter and improve her playing, and she has just taken an ATCL diploma and is now preparing for music college and university auditions. The prospect of meeting new and like-minded friends makes this a perfect way to spend a weekend. There are a plethora of piano courses taking place at Jackdaws throughout the year featuring a cohort of leading piano pedagogues, so you’ll no doubt find one to suit you. You will have the opportunity to play to an expert teacher. It’s always a good idea to work with many teachers, because each one will shed new light on different aspects of your playing (many music conservatoires are now making this practice a rule, so advanced students can benefit from the teaching of several professors). You will have the chance to meet pianists who are in the same situation as yourself, and who will possibly have similar interests. There will be time to chat, establish friendships and even piano playing partnerships. You’ll hear and become acquainted with an assortment of repertoire, as participants will probably all play different pieces from various historical periods, providing inspiration for future practice. One of the most important elements when attending a course, is learning from other players. As your fellow course participants take their turn to play, you can really ingest what the teacher is saying, and you can also ask them to show or help you with those particular elements too. Piano courses are great for performance practice. It can be a challenge to play for others, but particularly in front of classmates, so such an opportunity will definitely encourage more confidence and help your overall development as a pianist. Piano Courses don’t always take place in the Summer! They happen throughout the year. You can read more about my forthcoming course at Jackdaws Music Education Trust, which takes place in October (23rd – 25th). For readers based in Germany, I’m also holding a course at the IKM Gelsenkirchen (in Gelsenkirchen, near Düsseldorf) on the 3rd & 4th October (the photo above is from one of my German courses). It’s a bilingual course (in English), which runs over the weekend; consisting of a two-day workshop, which will be held at the historic IKM practice centre (which is an old mine), on a beautiful Bechstein grand piano. The course always includes a Sunday afternoon concert for all participants. Both workshop and concert are open to the public. For more information, please send me an e-mail via the contact form on this blog. I’m delighted to be invited to hold a piano course at Jackdaws Music Education Trust later this year. Jackdaws has a wonderful history and tradition, and is renowned for its instrumental and vocal courses, education projects, young artists programme, and performances by world-class musicians. Situated near Frome in Somerset, Jackdaws is set in exquisite countryside. There are a whole range of courses on offer and many are residential. You can find out all about the Education Trust here. My piano course will begin on Friday 23rd of October at 6.30pm and finish on Sunday afternoon on the 25th October at 4pm. It consists of eight concentrated sessions throughout the weekend, providing ample opportunity to work on many aspects of pianism. I will be focusing on piano technique, memorisation and sight-reading. These are topics I often offer for courses, as I believe they are frequently neglected. However, there will also be plenty of time for more traditional workshop fayre; where each pianist plays a prepared piece and we work on it in a master class format. Therefore we ask each participant to bring two short pieces of their choice (however, your pieces do not need to be polished or performance ready). The weekend will commence with sessions on evaluating and honing technical freedom at the piano, with full class participation. This will be followed by plenty of tips and practical guidance on memorisation, again with class participation, and the course will finish with sessions on sight-reading, and a final opportunity to work on chosen pieces. This piano course is open to any standard or level of playing, and there are a maximum of ten places (several have already been reserved). The fee for the course is £200 for the entire weekend, to include all meals except breakfast (there is a selection of B&Bs to choose from if you would like to stay nearby).